Berikut ini berita tentang “Edward Snowden” yang di ambil dari beberapa situs. Edward Snowden, a former CIA technical worker, fled to Hong Kong in May after revealing extensive internet and phone surveillance by US intelligence. Mr Snowden, 30, had been living with his girlfriend in Hawaii but left for the Chinese Special Administrative Region where, with his consent, the UK’s Guardian newspaper revealed his identity. 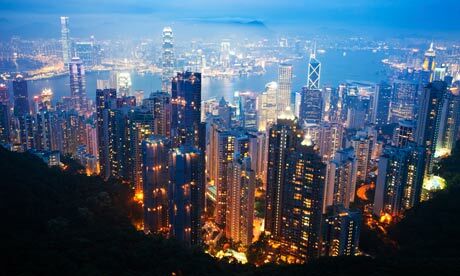 After the US filed charges and asked local authorities to extradite him, Mr Snowden left Hong Kong on 23 June, initially for Moscow but with the intention of seeking asylum in Ecuador. Ecuador’s Foreign Minister Ricardo Patino said that Mr Snowden’s asylum request was being “analysed”. Journalists who interviewed him at his secret location in Hong Kong described him as “quiet, smart, easy-going and self-effacing. A master on computers”. The US has charged Mr Snowden with theft of government property, unauthorised communication of national defence information and wilful communication of classified communications intelligence. Each of the charges carries a maximum 10-year prison sentence. With the knowledge that the US does have an extradition treaty with Hong Kong, Mr Snowden left on an Aeroflot flight to Moscow. Mr Snowden is reported to have grown up in Elizabeth City, North Carolina, and later moved to Maryland, near the headquarters of the National Security Agency (NSA) at Fort Meade. In 2003, he joined the US Army and began training with the Special Forces only to be discharged after breaking both his legs in a training accident. His first job with the NSA was as a security guard for one of the agency’s secret facilities at the University of Maryland. He then worked on IT security at the CIA. Despite his lack of formal qualifications, his computer wizardry allowed him to quickly rise through intelligence ranks. By 2007, he was given a CIA post with diplomatic cover in Geneva. Mr Snowden said he had considered going public earlier, but waited to see whether President Barack Obama’s election in 2008 would change the US approach. “[Mr Obama] continued with the policies of his predecessor,” he said. According to campaign finance records, Mr Snowden gave money in 2012 to Republican presidential long-shot Ron Paul, who supports strictly curtailing the powers of government. Mr Snowden reportedly made two donations of $250 (£160) over the course of the campaign. He left the CIA in 2009 and began working at the NSA as an employee of various outside contractors, including consulting giant Booz Allen. In a statement, the company confirmed he had been an employee of the firm for less than three months, assigned to a team in Hawaii. “News reports that this individual has claimed to have leaked classified information are shocking, and if accurate, this action represents a grave violation of the code of conduct and core values of our firm, it said. He was formally sacked on 11 June. Mr Snowden was on a salary of $122,000 according to a statement from his employer. He and his girlfriend moved out of their home in Waipahu, West Oahu, Hawaii, on 1 May, estate agents said, leaving nothing behind. A neighbour told ABC that the couple usually kept the blinds and doors closed and “didn’t really talk to anyone at all around here”. His girlfriend, whose personal blog includes photos of her pole dancing, has said her partner’s sudden disappearance caught her by surprise. “My world has opened and closed all at once,” Lindsay Mills wrote. “Leaving me lost at sea without a compass. Edward Snowden, yang bekerja sebagai kontraktor pada badan keamanan nasional AS (NSA) adalah orang yang membocorkan rahasia pemantauan hubungan elektronik. Edward Snowden memberikan penjelasan mengapa ia membocorkan rahasia mengenai pemantauan hubungan elektronik oleh NSA (foto; dok). Surat kabar Inggris Guardian yang terbit di London dan surat kabar Amerika Washington Post mengungkapkan bahwa seorang warga Amerika berusia 29-tahun yang bekerja sebagai kontraktor pada badan keamanan nasional Amerika, atau NSA, adalah orang yang membocorkan rahasia pemantauan hubungan elektronik yang dilakukan oleh badan intelijen Amerika itu. Laporan-laporan yang dimuat harian Guardian dan Washington Post dalam seminggu terakhir mengungkapkan adanya dua program pemantauan yang dijalankan pemerintah Amerika. Pertama adalah program pemantauan hubungan telpon ratusan juta rakyat Amerika tiap hari, guna menciptakan suatu database untuk melihat apakah ada tersangka terroris di luar negeri yang menghubungi orang di Amerika. Sementara yang kedua adalah program yang diberi nama PRISM yang memungkinkan NSA dan FBI untuk secara langsung menyadap sembilan jaringan internet Amerika untuk mengumpulkan data tentang penggunaan saluran elektronik itu, termasuk penyadapan audio, video, foto dan email, dan untuk mengetahui informasi apa saja yang dicari orang. Tujuannya adalah untuk mencari kegiatan-kegiatan yang mencurigakan yang datang dari luar negeri. Snowden membantah bahwa pelaksanaan kedua program itu dilakukan dengan aman dan sesuai hukum. Katanya, tiap analis bisa saja memilih siapa yang akan dipantau hubungan elektroniknya. Kata Snowden lagi, ia sendiri punya otorita untuk menyadap telepon siapapun, termasuk telepon Presiden Amerika. Surat kabar itu mengatakan, Snowden melarikan diri dari Hawaii ke Hong Kong tanggal 20 Mei dan mungkin akan minta suaka politik di Eslandia. National Security Agency, atau NSA, badan intelijen Amerika yang besar itu telah minta bantuan Departemen Kehakiman untuk mengusut perkara pembocoran rahasia tadi. NSA dilaporkan telah mengumpulkan ratusan juta nomor telpon penduduk Amerika dalam usaha mencegah serangan terroris. Presiden Obama minggu lalu menjelaskan bahwa tindakan itu telah disetujui oleh Kongres Amerika dan dijalankan dengan pengawasan ketat oleh pengadilan. (CNN) — He’s a high school dropout who worked his way into the most secretive computers in U.S. intelligence as a defense contractor — only to blow those secrets wide open by spilling details of classified surveillance programs. Snowden has revealed himself as the source of documents outlining a massive effort by the U.S. National Security Agency to track cell phone calls and monitor the e-mail and Internet traffic of virtually all Americans. Snowden, 29, said he just wanted the public to know what the government was doing. “Even if you’re not doing anything wrong you’re being watched and recorded,” he said. Snowden told The Guardian newspaper in the United Kingdom that he had access to the full rosters of everyone working at the NSA, the entire intelligence community and undercover assets around the world. “I’m just another guy who sits there day to day in the office, watching what’s happening, and goes, ‘This is something that’s not our place to decide.’ The public needs to decide whether these programs or policies are right or wrong,” he said. Snowden fled to Hong Kong after copying one last set of documents and telling his boss he needed to go away for medical treatment. He worked for a major U.S. government contractor in Hawaii, earning a six-figure salary and enjoying the scenic state with his girlfriend. He told The Guardian he never received a high school diploma and didn’t complete his computer studies at a community college. Instead, he joined the Army in 2003 but was discharged after breaking both legs in an accident. Snowden said he later worked as a security guard for the NSA and then took a computer security job with the CIA. He left that job in 2009 and moved on to Booz Allen Hamilton, where he worked as a contractor for the government in Hawaii. He told the Guardian that he left for Hong Kong on May 20 without telling his family or his girlfriend what he planned. “You’re living in Hawaii, in paradise and making a ton of money. What would it take to make you leave everything behind?” he said in the Guardian interview. Some residents on Oahu island are glad Snowden left. “From a Hawaii standpoint, good riddance, thanks for leaving,” Ralph Cossa told CNN affiliate KHON. President Barack Obama insists his administration is not spying on U.S. citizens — rather, it’s only looking for information on terrorists. 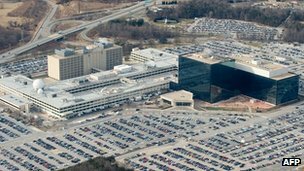 Booz Allen Hamilton, the government contractor that employed Snowden, said Snowden had worked at the firm for less than three months. “News reports that this individual has claimed to have leaked classified information are shocking, and if accurate, this action represents a grave violation of the code of conduct and core values of our firm,” the company said in the statement. The firm said it will cooperate with authorities in their investigation. According to the Guardian, the only time Snowden became emotional during hours of interviews was when he thought about what might happen to his relatives — many of whom work for the U.S. government. CNNs Matt Smith and Holly Yan contributed to this report. Today, just over three weeks later, he is the world’s most famous spy, whistleblower and fugitive, responsible for the biggest intelligence breach in recent US history. News organisations around the globe have described him as “America’s Most Wanted”. Members of Congress have denounced him as a “defector” whose actions amount to treason and have demanded he be punished to the fullest extent of the law. If America is planning to jail for life Bradley Manning, who was behind the 2010 WikiLeaks release of tens of thousands of state department memos, what retribution lies in store for Snowden, who is guilty of leaking on a much bigger scale? The documents Manning released were merely “classified”. Snowden’s were not only “Top Secret”, but circulation was extremely limited. For an American, the traditional home for the kind of story Snowden was planning to reveal would have been the New York Times. But during extensive interviews last week with a Guardian team, he recalled how dismayed he had been to discover the Times had a great scoop in election year 2004 – that the Bush administration, post 9/11, allowed theNSA to snoop on US citizens without warrants – but had sat on it for a year before publishing. In January, Snowden reached out to a documentary filmmaker and journalist, Laura Poitras, and they began to correspond. In mid-February, he sent an email to Greenwald, who lives in Brazil, suggesting he might want to set up a method for receiving and sending encrypted emails. He even made a YouTube video for Greenwald, to take him step-by-step through the process of encryption. Greenwald did not know the identity of the person offering the leaks and was unsure if they were genuine. He took no action. In March, in New York, he received a call from Poitras, who convinced him that he needed to take this more seriously.Greenwald and Snowden set up a secure communications system and the first of the documents arrived, dealing with the NSA’s secret Prismprogramme, which gathers up information from the world’s leading technology companies.Greenwald flew to New York to talk to Guardian editors on 31 May; the next day, he and Poitras flew to Hong Kong. (I met the two for the first time in the New York office, accompanied them to Hong Kong and joined them in interviewing Snowden over the best part of a week, and writing articles based on the leaked documents and the interviews).Neither Greenwald nor Poitras even knew what Snowden looked like. “He had some elaborate scheme to meet,” Greenwald said. Snowden told him to go to a specific location on the third floor of the hotel and ask loudly for directions to a restaurant. Greenwald assumed Snowden was lurking in the background, listening in.They went to a room that, Greenwald recalled, contained a large fake alligator. Snowden made himself known. 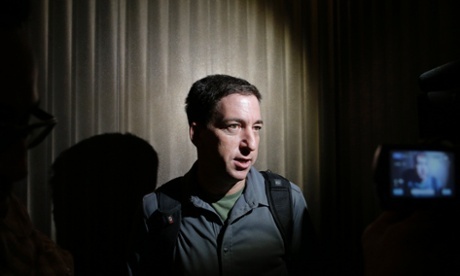 He had told Greenwald that “I would know it was him because he would be carrying a Rubik’s Cube”. After an hour of listening to Snowden, Greenwald changed his mind. “I completely believed him,” he said. The interviews were conducted in Snowden’s room, which overlooked Kowloon Park. Snowden and the journalists, complete with camera equipment, crammed into the tiny space. He had been there for two weeks, having meals sent up. He did not have much with him: some clothes, a book, four computers, that Rubik’s Cube. He was becoming worried about the costs and especially the chance that his credit cards would be blocked. The interviews, combined with the leaked documents, provided the Guardian with four scoops in quick succession, from the court ordershowing that the US government had forced the telecoms giant Verizon to hand over the phone records of millions of Americans, to the previously undisclosed programme, Prism. Snowden’s decision to go public has mystified many. Why come out? He had, he said, seen at first hand the impact on colleagues of leak inquiries involving anonymous sources and he did not want to put his colleagues through another ordeal. On Sunday night, Snowden gave the last of what had been almost a week’s worth of interviews. It was his final night in that hotel room: the final night before his old life gave way to a new and uncertain one. He sat on his bed, arms folded, television news on without the sound, and spoke about the debate he had started, homing in on a comment Obama had made on Friday, in response to the leaks. “You can’t have 100% security and then also have 100% privacy and zero inconvenience,” the president said. Society had to make choices, he added. An ex-CIA employee has said he acted to “protect basic liberties for people around the world” in leaking details of US phone and internet surveillance. Edward Snowden, 29, was revealed as the source of the leaks at his own request by the UK’s Guardian newspaper. Mr Snowden, who says he has fled to Hong Kong, said he had an “obligation to help free people from oppression”. It emerged last week that US agencies were gathering millions of phone records and monitoring internet data. A spokesman for the US Office of the Director of National Intelligence said the case had been referred to the Department of Justice as a criminal matter. The revelations have caused transatlantic political fallout, amid allegations that the UK’s electronic surveillance agency, GCHQ, used the US system to snoop on British citizens. Foreign Secretary William Hague cancelled a trip to Washington to address the UK parliament on Monday and deny the claims. The Guardian quotes Mr Snowden as saying he flew to stay in a hotel in Hong Kong on 20 May, though his exact whereabouts now are unclear. He is described by the paper as an ex-CIA technical assistant, currently employed by Booz Allen Hamilton, a defence contractor for the US National Security Agency (NSA). Mr Snowden told the Guardian: “The NSA has built an infrastructure that allows it to intercept almost everything. With this capability, the vast majority of human communications are automatically ingested without targeting. “If I wanted to see your emails or your wife’s phone, all I have to do is use intercepts. I can get your emails, passwords, phone records, credit cards. 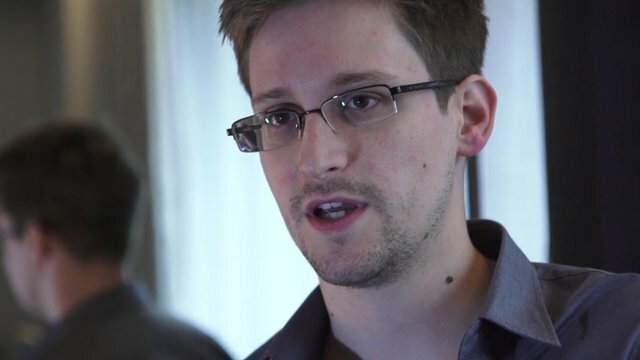 Mr Snowden said he accepted he could end up in jail and fears for people who know him. He said he had gone to Hong Kong because of its “strong tradition of free speech”. However, Beijing can block any extradition if it believes it affects national defence or foreign policy issues. A standard visa on arrival in Hong Kong for a US citizen lasts for 90 days and Mr Snowden expressed an interest in seeking asylum in Iceland. However, Hong Kong’s South China Morning Post quoted Iceland’s ambassador to China as saying that “according to Icelandic law a person can only submit such an application once he/she is in Iceland”. 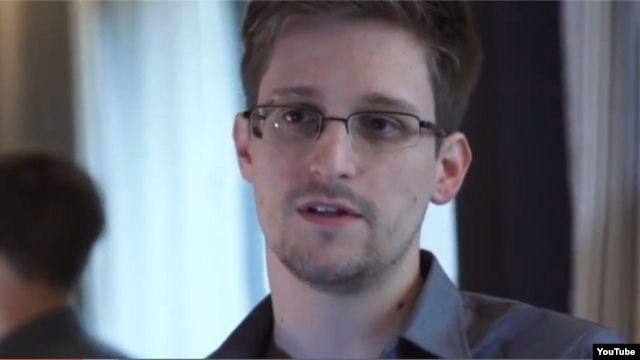 In a statement, Booz Allen Hamilton confirmed Mr Snowden had been an employee for less than three months. “If accurate, this action represents a grave violation of the code of conduct and core values of our firm,” the statement said. At a daily press briefing on Monday, White House press secretary Jay Carney said he could not comment on the Snowden case, citing an ongoing investigation into the matter. The first of the leaks came out on Wednesday night, when the Guardian reported a US secret court ordered phone company Verizon to hand over to the NSA millions of records on telephone call “metadata”. On Thursday, the Washington Post and Guardian said the NSA tapped directly into the servers of nine internet firms including Facebook, Google, Microsoft and Yahoo to track online communication in a programme known as Prism. The data is used to track foreign nationals suspected of terrorism or spying. The NSA is also collecting the telephone records of American customers, but said it is not recording the content of their calls. US director of national intelligence James Clapper’s office said information gathered under Prism was obtained with the approval of the secret Foreign Intelligence Surveillance Act Court (Fisa). Prism was authorised under changes to US surveillance laws passed under President George W Bush, and renewed last year under Barack Obama. Diposkan pada 26 Juni 2013 26 Juni 2013 oleh ASyafaatPosted in SecurityDengan kaitkata AS, CIA, communication of classified communications intelligence, Edward Snowden, Facebook, FBI, Fisa, Foreign Intelligence Surveillance Act Court, Google, Microsoft, national defence information, National Security Agency, NSA, PRISM, US, Yahoo.